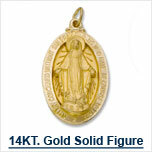 14 Kt. 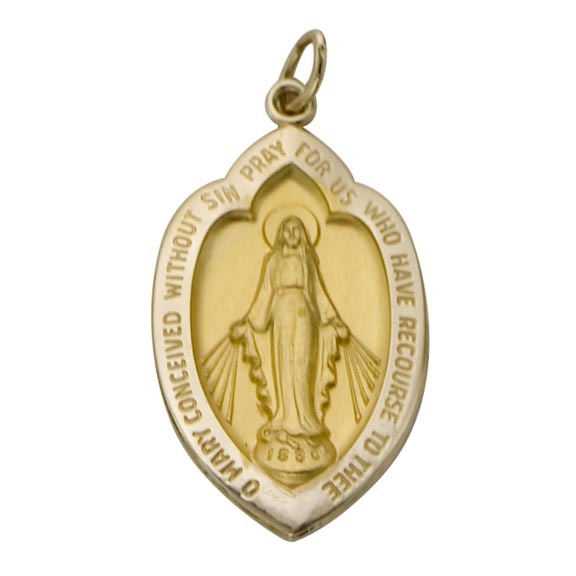 Shield Oval Yellow Solid Miraculous Medal - 1-1/8 INCH - M54, Rand & Paseka Mfg. Co., Inc.